Packing Size: 10.63" x 13.78" x 2.76"
A new model of counter stand slide-in Silver frame in graphic size of 8,5″x11″. Practical to change posters by sliding them in & out. Comes with 2 PET covers, an end plastic wick on the open side & double-sided tape at the bottom feet. This product is delivered in the landscape position for standard articles.An optional portrait position is available. 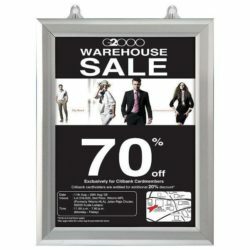 These double sided counter stand slide-in frames have 1 inch profiles in silver matte color. Poster size is 8.5×11, stands vertically or horizantally. Simply slide out the old sign, and then slide in the new sign between the two protective overlays. 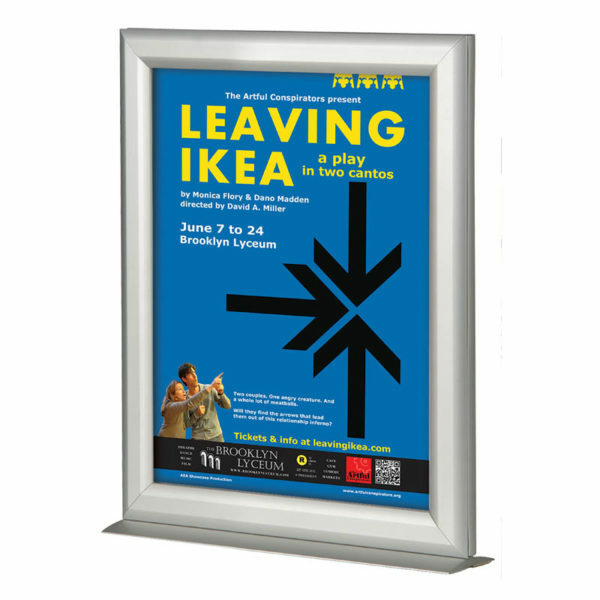 By its easy and quick use, slide-in poster frame is an ideal solution for frequently changing signs. 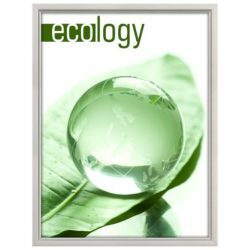 Slide-in picture sign frame accept posters and paper signs up to 0.008 inch thick. 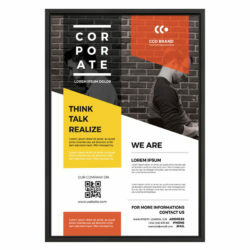 Easy change slide-in poster frame has anti-glare poster cover sheets. These non-glare overlays are to protect the posters from dirt and any damage as well as to prevent glaring. 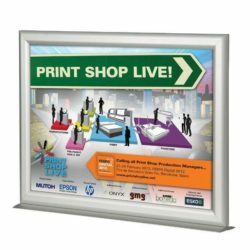 Each double sided top loading poster frame is supplied with a set of 2 PET covers, an end plastic wick on the open side and double-sided tape at the bottom feet. The double-sided tape ensures that the frame is fixed where it is placed without drilling. Thereby, the frame remains firmly against bumping and pushing. 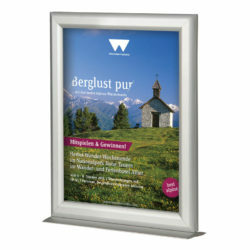 Slide-in poster frames are in portrait position for standard articles. An optional landscape position is available. Each frame comes with an instruction sheet explaining how to set and use. The quality of this frame is amazing. I love the easy top loading.